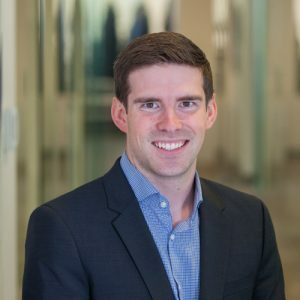 Connor McMahon joined First Western Properties in 2015. He graduated from Central Washington University and spent a short time working in the wine business before transitioning into commercial property management. He managed a portfolio of office, industrial and retail properties in the Puget Sound Metropolitan area. Connor currently splits his time between landlord and tenant representation. Some of the landlords he represents include Pacific West Land, Real Properties of America, Wasatch and First Western Developments. Some notable tenants he represents include Lowe’s Home Improvement, Grocery Outlet and Kid’s Park Daycare. What sets First Western apart from other firms for Connor is the cooperation and competition amongst fellow brokers that drives everyone to success and produces positive results for our clients. Connor is a passionate outdoorsman. He has summited Mt. Rainier 8 times and was formerly a member of King County Search and Rescue. He enjoys fly-fishing for steelhead on the Olympic Peninsula and scuba diving in Puget Sound with his wife. He frequently travels to Montana and Hawaii to visit his family that lives there.